Looking for all positions especially pitcher and catchers to fill the team. We already have a schedule set and already playing games. 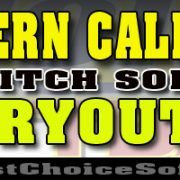 Knuckleheads 12U and 14U is based out of Orange County and are coached by former Tustin High School head varsity coach Rick Phillips. Rick has coached for over 30 years at ALL levels and has vast experience in recruiting young athletes to become TOP college players. We are looking for 14u athletes NEW TO TRAVEL BALL or with some Travel ball experience to conclude BOTH these rosters constructed of strong/competitive young athletes, to play for competitive teams from a very strong organization. Looking for ALL positions. CAN’T GET BETTER SITTING ON THE BENCH!!! Don’t be fooled by the shirt you wear. Be a part of an organization that cares about DEVELOPING ALL PLAYERS. This is a great opportunity to be part of an elite program under the guidance and mentorship of Rick Phillips and ALL of the Knucklehead coaching staff. NO DADDY BALL OR DRAMA! The Knucklehead organization will build a positive, confident group of athletes while teaching the long rich tradition of PLAYING WITH HONOR. This can only be achieved with the support of parents, which includes offering support in a positive manner to your child, her coach and the other team members. We pride ourselves in helping each player excel. Now with the Rec season coming to an end this is a great opprotunity for your player to take their skills to the next level. If interested in coming out, or if you would like to arrange a private/confidential workout, please contact head coach Rick Phillips. Come Join one of the Largest, most respected and successful Organizations in the Country!! Call me direct for an individual tryout. Knuckleheads team is looking for a Pitcher and Catcher to fill already established team with schedule already set and have been playing. Knuckleheads05 is based out of Orange County and are coached by former Tustin High School head varsity coach Rick Phillips. Rick has coached for over 30 years at ALL levels and has vast experience in recruiting young athletes to become TOP college players. We are looking for 14u athletes NEW TO TRAVEL BALL or with some Travel ball experience to add to the rosters constructed of strong/competitive young athletes, to play for competitive teams from a very strong organization. CAN’T GET BETTER SITTING ON THE BENCH!!! Don’t be fooled by the shirt you wear. Be a part of an organization that cares about DEVELOPING ALL PLAYERS. The Knucklehead program prides itself in providing not only a strong athletic team but also expects all players to maintain high academic goals and achievements. Academics is a huge part of youth sports and achieving college goals. We are a 1st year 16u team moving up from a success and productive 14U season . 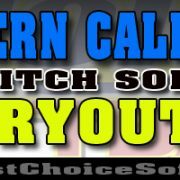 We are looking for a Strong Pitchers Catcher and Middle Infielders that wants to compete and time on mound Coach has no Daughter on team!.We are a strong competitive Team we are competing in TCS Series and making a run at PGF and major showcases All hitting is done at VIP Batting Cages in Hawaiian Gardens. Practices are held at Artesia Park and.Friendlies are play 3 times a Month.if you think you have what it takes to be a Artesia Punisher please email , Call or text Coach Joseph at 562 991 2163 or punishers.alvarez@gmail.com. 100% of our 2017 /18 grads went on to college with scholarships. Here are a few benefits of being a Punishers! The Artesia Punishers have a long, successful, proven track record on the field and in the classroom. We are consistently represented by collegiate student/athletes all over the nation attending Universities from Boston to Hawaii and everywhere in between. The Punishers competitive softball program puts our young student/athletes in a position to succeed on and off the softball field. The Punishers strive to teach their student/athletes life lessons including discipline, commitment, and working with others. Punishers are encouraged, motivated, and held accountable to the highest of standards. We are looking for dedicated, hard working young ladies. All positions open. 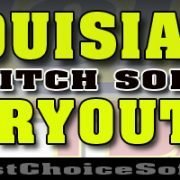 We are in need of two solid pitchers, middle infield and utility players. We are a non-profit organization, with a solid coaching staff consisting of prior college players, indoor, outdoor facilities and athletic trainer. USA/PGF, National Events are our focus. If you are willing to work hard and take your game to the next level, then this is the team for you. All tryouts will be held on Sundays during our player clinics starting in March 2019. Location is pending weather, so please call for personal tryout. Irvine Sting looking for an 08 or strong 09 Catcher to add to an already established roster. We had a very successful Fall Season and looking to add a Catcher to our roster. If you are looking to have your daughter compete in tournaments, our 10u team already has a birth to PGF in 2019! Our coaches are committed to the players and we Coach Up from within, we are not like other travel programs who look to replace players. Low fees, Volunteer Head Coach has no daughter on the team. 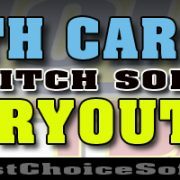 Come play on the best fields in softball. Home field is Bill Barber Memorial Park. Email interest to Pete Duquette at 951-902-5253 or email at pete.duquette@iherb.com. Established in 1999, the Irvine Sting organization founded by 18u Head Coach Dr. Blair Ota is a girls’ fastpitch softball program that balances athletic, academic and personal development. The program stresses individual accountability and responsibility in order to achieve players’ goals of playing softball at the highest competitive levels. Irvine Sting participates in exposure events, including Surf City and Champion’s Cup, and has had berths to the Boulder Colorado Independence Day Tournament and PGF Championships since their inception. All practices are held in the City of Irvine with batting cages at Col. Bill Barber Memorial Park and Northwood High School.